Albert Isaacs, as he became more commonly known, was born Jacob Albert Clarke Isaacs to parents Gilbert and Elizabeth Isaccs in Sydney in 1863. He married Euphemia Wallace at Redfern in 1888. They had 11 children: Albert, Elizabeth, Roma, Darrel, Russell, Effie, Gordon, Annie, Jean (died during infancy), Donald and Jean. His seventh child, Sir Gordon Wallace, became a Supreme Court judge. Isaacs died at his residence at 6 Warren Road, Marrickville on 15 August 1942 and was buried two days later in the Presbyterian section at Rookwood Cemetery. Isaacs was a coach builder and initially conducted business from 166 and 401 Cleveland Street, Redfern before he opened a warehouse at 110-112 Redfern Street, Redfern from about 1895. His firm eventually became a coach and motor works known as Winna Motor Products and operated up until 1949, when the business sold its Redfern warehouse and ceased operations. Isaacs was president of the Coachbuilders, Wheelwrights and Motor Body Builders’ Association of New South Wales. He was also a Justice of the Peace. 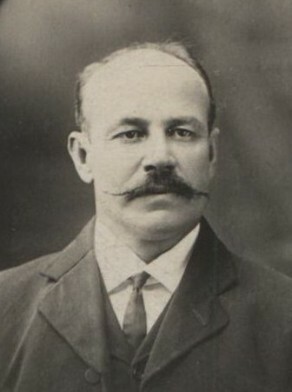 Albert Isaacs was elected an alderman of Redfern, Belmore Ward, on 12 February 1906. He was elected Mayor of Redfern on 12 July 1917, serving until 1920. In October 1917, Isaacs was responsible for initiating the creation of the Redfern Town Hall roll of honour listing those in the municipality who had enlisted during World War 1. At the roll’s unveiling on 6 February 1918, he noted that ‘there was sufficient space on the board for three hundred additional names, which were awaiting verification’. At a council meeting on 22 January 1920, he announced he would not seek re-election and would retire from office after 14 years at the aldermanic table. He noted his last three years as Mayor had been a ‘strenuous time’, but that he ‘endeavoured to do his duty to the ratepayers’.